Let's say that, hypothetically speaking, your child comes home from Vacation Bible School with a note that says that he needs an outfit for the upcoming Toga Day, but you can't deal with it because you are driving directly from VBS to Cub Scout Twilight Camp, not that you own any plain sheets anyway. Well, fortunately for you, I have a solution for your oddly-specific problem! All you need is a plain white adult-sized t-shirt, plus a cord that is a little longer than your child's waist. Step 1: Have your child put his right arm up through the neck hole. Step 2: Now his head goes through the neck hole. Step 3: His left arm goes through the left sleeve. Step 4: Tie the cord around his waist. Finish the look with sandals. Trevor wears a child small, so Steve's adult medium t-shirt was a perfect fit. A taller child would probably need a large or extra-large adult t-shirt. By the way, this would make a pretty good Halloween costume for those of us who sometimes have warm weather on October 31. Or (again hypothetically) for anyone who has nearly-constant Halloween parties during the week before Halloween whose mother does not want him to ruin his costume before Halloween night. Just saying. Then we moved on to our second game, Tant Fant. Tant Fant is a strategy game from India that is a little bit like tic-tac-toe (but much more fun). To play, you need six stones (3 of one color and 3 of another) and this board. Set the board up by putting your stones along your "home row," which is directly across from your opponent's home row. Then decide who is going to go first. Trevor and his buddy used roshambo. Take turns sliding one rock at a time along one segment of a black line. You cannot hop over other rocks, nor can you travel somewhere there isn't a line. The goal is to get three in a row anywhere other than your own home row. This boy is reacting to his partner's win (the green rocks form a diagonal). Tant Fant is a really fun game that is easy to learn and quick to play. It's very portable, as you can literally draw the board in the dirt and use found objects like rocks or acorns to play. Each of the dens that has passed through my station so far has been enthusiastic about playing this during downtime at future Cub Scout campouts or other events. Now all that's left for the boys to earn their Language and Culture Belt Loop is to interview someone who grew up in a different country. We have that planned for an upcoming den meeting, so that will be another one Trevor can add to his collection. The first activity the Cub Scouts did at our Language & Culture station at Twilight Camp was learn a Native American game. This game was common throughout tribes of the Southwest, with tribes in other parts of the continent playing a version as well. To play, you need six sticks and ten items to serve as counters. We used popsicle sticks and lima beans. Decorate one side of each stick, leaving the other side blank. Use the opportunity to show photos of ceremonial clothing and other decorative items from a variety of Southwestern tribes and incorporate those designs when coloring the sticks. Now you're ready to play! The game is very easy. Player A picks up all the sticks and holds them vertically in one hand, about 6 inches above the ground, then drops them. If all 6 sticks land with the design-side showing, A takes 3 lima beans. If all 6 sticks land with their plain side showing, the player takes 2 lima beans. If 3 sticks land with the decorated side showing and 3 with the plain side showing, take 1 lima bean. If any other combination happens, the player earns no lima beans. Now it's Player B's turn. He drops the sticks and takes either 3, 2, 1 or 0 lima beans. Continue alternating play. Eventually, the common pot of lima beans will be gone. At that point, a player who earns beans takes them from the opponent. The winner is the person who eventually has all 10 beans. The boys loved it. Here's Trevor and his partner, just starting out. Trevor earned the first bean with this half-up-half-down toss. This boy said, "Noooooo!" every time he didn't score. He was so into it! Tomorrow I'll share another of the games I taught, a strategy game from India. This week, I'm working at Cub Scout Twilight Camp as a station leader. (Twilight Camp is the same thing as Day Camp, except it's from 3:30 - 8:00 pm, instead of the more typical 9:00 am to 3:00 pm of Day Camps, like the one we attended with our previous Pack.) In past years, I've been a den walker, which means that my job was to walk a group of boys from station to station, deal with any discipline issues or other problems, and keep the boys entertained during any gaps in programming. With your parent's or adult partner's permission, talk with someone who grew up in a different country than you did. Find out what it was like and how it is different from your experience. Learn 10 words that are in a different language than your own. Play two games that originated in another country or culture. Each session leader was asked to create a token to hang from the den's flag when the boys completed the station. 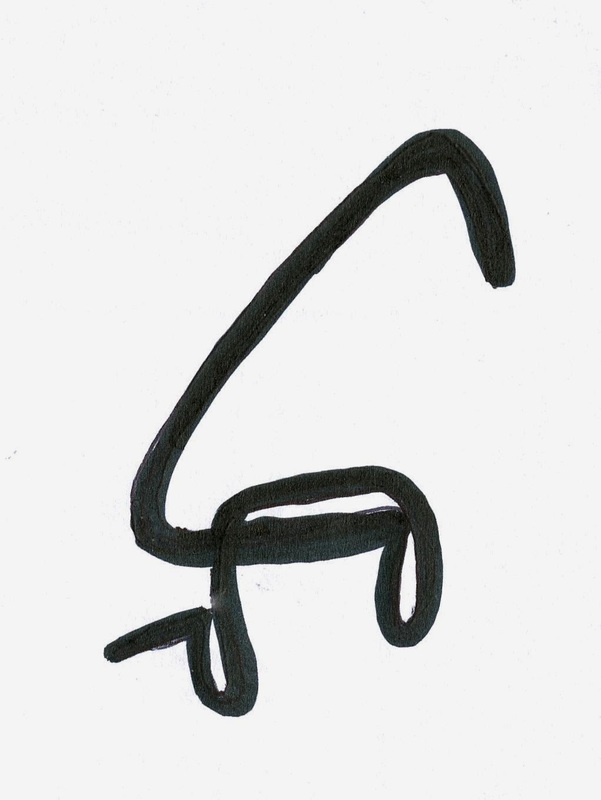 The token was to represent both the activity and the trait. I cut discs from chipboard and used the Cropadile to punch holes in them. I turned them into globes to represent language and culture. I painted them light blue, then used a green pen to draw on continents. I chose a yellow ribbon to hang them, since the color yellow symbolizes cheerfulness. On the back, I wrote the name of the station. I did the painting at home, but all the coloring took place poolside during Trevor's swim lessons! Tomorrow I'll teach you the first game we played at my station. It's a favorite of mine, one I first learned as a kid in Indian Princesses and went on to teach to 11 years' worth of 4th and 5th graders. Yesterday I shared the spider-themed tablesetting that Trevor entered at the county fair. His napkin ring was my favorite part. I had absolutely nothing to do with making it, other than cutting the cardboard tube, then plugging in the glue gun and monitoring its use. The design and implementation is 100% Trevor. Materials: empty cardboard tube, black paint, 2 brown pipe cleaners, black pom pom, brown pom pom, 2 black seed beads, scissors, hot glue gun, and craft glue. Bend the other one in mirror image. Heat up the glue gun. Line up the two pom poms and two pipe cleaners like in the photo and glue them together, then glue the whole thing to the napkin ring. Use craft glue to attach the seed beads. Done! We did a lot more than just Trevor's tablesetting contest while we were at the fair. Top priority though was seeing how his other entries did. Here's his entry in the poster contest. First place! The Pinewood Derby cars aren't judged in the 5-8 year old category. They just receive a participation ribbon.... unless they are selected as Judge's Favorite! You can see a much better photo of Trevor's "Toothless" car here. Trevor was thrilled with his Judge's Favorite, first, and third places. A very fine showing, indeed! He's entered the bulk of his art and craft projects in our local county fair, which isn't until August. So expect another fair wrap-up in about 7 weeks! Each year, Trevor enters a live tablesetting contest for 5-8 year olds at the Alameda County Fair. In 2012, the first year he was eligible, Trevor dreamed up a meal for bunnies and their owners. It was so cute and he was so proud of it. It earned him 4th place in a field of 11. Last year, he created an owl-themed tablesetting that incorporated many of his owl crafts. He'd listened to the judges' suggestions from the previous year and earned 3rd place. He was ecstatic. This year, Trevor decided on a spider-themed tablesetting. He sketched out a plan for a spiderweb tablecloth, a spider napkin ring, spiders on a menu frame, and plastic spiders scattered around. We headed out to the fabric store. We searched through fleece prints, cotton prints, everywhere spiderwebs might be, but didn't find any. He settled on a silvery-grey with a cool wiggly print. He was disappointed not to have found a spiderweb print, but was already thinking of how to make the other fabric work. We headed to the cutting station. As the employee was cutting one yard of the silvery-grey, she asked Trevor what he was making. He described his vision and said how he had to choose this because there weren't any spiderwebs. She told us that they did indeed having spiderweb fabric... in the special occasion section. We hadn't thought to look there! She led us over to the section and showed it to Trevor. 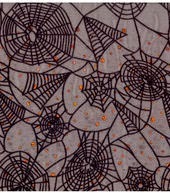 Sure enough, among the silks and velvets was a sheer, flocked spiderweb fabric. He was euphoric, as it was exactly what he wanted. He asked for one yard. I winced as I asked about the price. $12.99 a yard, on top of the $4.99 for the silver fabric she'd already cut. Yikes. Fortunately, I had a 40% off coupon. I'd planned that it would go toward a $5 fabric so that we'd only spend $3 total. But there was no way I could say no to the perfect fabric. Trevor bounced out of the fabric store, anxious to go home and get started. I helped him staple his grey fabric to a wooden board, then staple the spiderweb fabric over that. It looked really good. He selected dishes and silverware, then started work on his napkin ring. Here's his version of a violin spider. Next, it was time to set his menu. I helped him search online for foods that looked like spiders (there are a lot!) and frequently asked him questions to be sure he knew about the nutrients in each. I'm constantly talking about balanced meals, so this was pretty easy for him. The hard part was painstakingly writing his menu by hand. He does not have especially neat handwriting and he does not enjoy writing. But one of the criticisms he'd gotten two years ago was about having a typed menu (as there's no way of knowing whether the child did it himself), so he wanted to be sure to follow the judges' advice. Once he wrote his menu, he painted a wood frame and used Glue Dots to attach some of his plastic spiders. With all the components ready, he practiced over and over and over. Here's how his finished tablesetting looked. He felt confident and excited. Finally, it was time for competition! There were 7 entrants spread across three tables. Trevor took his time and made sure everything was perfect. When all the kids were done, the judges called them up one by one to give a presentation about their tablesetting, something new this year. 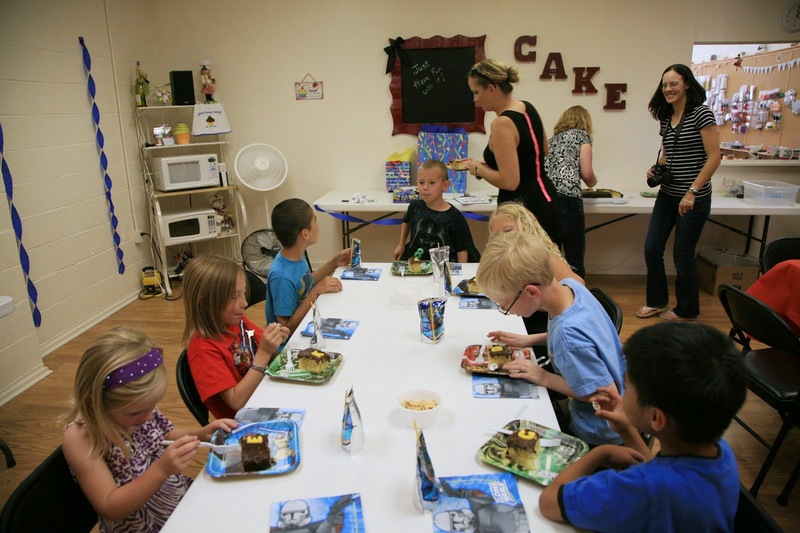 Trevor told them all about his homemade items, why he chose the theme, and how he'd tied in the menu. Unfortunately, he didn't speak loudly enough. He's comfortable on a microphone because they practice with them at school, but he thought this would broadcast much louder than it did. t least the judges could hear. After all the presentations, the judges conferred. They awarded participation ribbons to four of the kids, which meant Trevor would place! He got third. He was a bit disappointed, as he'd truly thought his was better than the second place finisher's, but he happily accepted his third place. Here is the second place finisher. He was frustrated to see that both had typed menus when he'd spent so much time and effort handwriting his and had been penalized in the past for typing. Oh well! That's part of competition. All of the kids did a wonderful job and I didn't envy the judges having to decide between them. Judging is really hard, and judging in front of the competitors is brutal. I've only done it a handful of times and never with kids this young. Congratulations to all the contestants for a job well done! Trevor is already talking about his plans for 2015, the final year he qualifies to enter before he ages out. Stay tuned! Two weeks ago, I spent a few days judging at a county fair like I do each year. For the most part, I really enjoy judging. It's a rare treat to see such a wide variety of projects up close. It's fun to be able to touch everything and really inspect it, which is something a fairgoer can't do. It's inspiring to see the creativity and the talent. I always leave with so many ideas and new things I want to try. love being the one to award prizes to the best of the best. Overall, judging is great. But it is also difficult and exhausting. I judge hundreds of items. I take my time and give every project my full attention. My hand gets cramped after writing down so many comments and my brain gets tired of thinking of kind and/or polite ways to tell people what is wrong with their stuff and ways they could improve. Speaking of which, I have some things to add to last year's letter of things I wish I could say to fair entrants. Thank you so much for submitting your project(s) to the county fair! I appreciate that so many of you took the time to consider my comments from last year and actually addressed the items I mentioned in my comments. I put a lot of time and effort into writing them, so it is very gratifying that some of you follow them. Overall, I felt that this year's entries were of a higher caliber than last year's, particularly since 90% of you took the time to remove visible adhesive and/or glue gun strings from your project. However, I must address those of you who chose to ignore my suggestions. I'm a bit confused. I assume you want to win, right? Otherwise you wouldn't have paid an entry fee and gone to the trouble of driving your project to the fair and standing in line on the delivery day, right? If you'd spent the five minutes you stood in line removing glue gun strings, your project could have placed higher. Let me put this to you bluntly: if you ignore the judging criteria (which are printed on the very form you used to enter), you are not going to win. It's really that simple. I strongly recommend that each of you read the letter I wrote for you last year. It's full of helpful suggestions, like taking the time remove the pounds of pet hair that might be clinging to your project. That's a pretty big pet peeve of mine, as of other judges as well. If you turn in a project that is sticky, covered in pet (or human) hair, and/or dropping sequins each time I breathe, you are probably not going to win. And if you do place, you probably would have placed higher if you'd just taken the extra few minutes and followed my suggestions. In general, my biggest suggestion to all of you is simply to read the rules and judging criteria. And if you don't understand them, call or email the helpful fair staff before delivering your items. Notice that I said 'before.' Remember that five minute line you stood in to deliver your project? No one will like you if you save all your questions for delivery time and make the people behind you stand in line for two hours. Contact the fair staff days, weeks or even months ahead to ask your questions. This makes their job easier, it makes my job easier, and it gives you a much better chance of winning. Thanks and I can't wait to see next year's entries! Please Help This Instagram Newbie! On June 5, I tiptoed into the 21st century by opening an Instagram account and posting my first photo. It was a picture of Trouble, napping on a dining room chair. I'd post it here, except that's one of the many things I haven't figured out how to do. Which is why I need your help. First, some background. I'd looked at Instagram before, but figured it wasn't for me because I had never taken phone photos. Let me repeat that for you, because no one ever believes me. Before June 5, 2014, I had never taken a photo using anything other than a camera. No phone photos. I don't mean that I didn't regularly take phone photos. I mean that I had NEVER taken a phone photo, despite having a smartphone for 3 years. I'm not a phone person. I don't like talking on the phone and I don't have a texting plan. I use my phone for emergencies, to IM with Steve, and occasionally to check email or get directions when I'm out and about. I don't carry my phone around with me 24/7 the way everyone else seems to do. I do carry my point-and-shoot camera around. I never leave home without it, and I almost always carry it up and down the stairs with me during the course of my day. When I want to take a photo of something, my camera is right there. My phone is not. Because of this, I've never felt the need to take a photo with my phone. And because I'd never needed to take a photo with my phone, I'd never understood the appeal of Instagram. It has become increasingly obvious to me that I'm being passed over for certain opportunities because I am not active on Instagram. For creative professionals, Instagram is huge and growing. As someone with a toe in the professional world of crafting and scrapbooking, it doesn't make sense for me to ignore something that could be helping me professionally. Beyond the crafting world, all sorts of businesses offer discounts and deals to people who use their hashtag to post a picture of their burger, their store, their logo, their whatever. So I've been using Instagram for exactly three weeks. What I should have done was find a friend who could walk me through it in person. I've figured out the absolute basics, but the process has been more frustrating than fun. So far, I don't love it. I want to love it. There's where you, my Instagram-using friends, come in. Help! 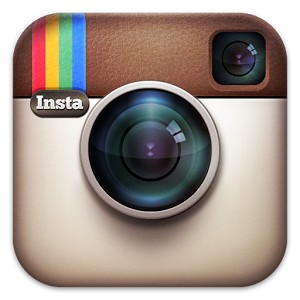 1) Is Instagram the same on all phones (iPhone vs. Android, various phones within the Android umbrella, etc.)? Does everyone have the same features? I feel like I'm missing some really obvious things that a camera can do. 2) For example, is there a way to crop my Instagram photos? Or zoom? 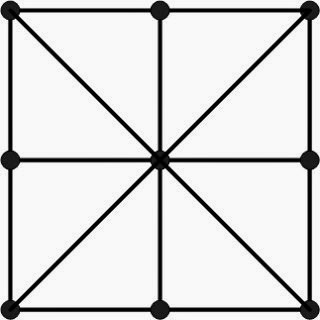 Do I really need to physically walk forward or backward to properly fill the square? I tried taking a photo of swim lessons from the edge of the pool. Without a zoom, I couldn't get close enough for an acceptable photo. Same with baseball practice. The opposite happened during Book Club when I tried to take a group shot. The room was too small for me to back up enough to get all the kids in. (I ended up posting this photo of the books they'd read. Even that was cut off, but cutting off books is better than cutting off kids. 3) Can I edit photos after they've been posted? As we were leaving The Squeeze Inn on Tuesday after baseball, I noticed a sign on the wall offering a free drink for posting a photo of a Squeeze Burger with their hashtag. I'd JUST posted a photo of the Squeeze Burger I split with Trevor (that thing is huge! ), but I haven't done any hashtagging yet. I tried to find a way to edit the photo to add it, but couldn't find a way. 4) Can I upload to Instagram via anything other than my phone? There doesn't seem to be a way to upload via computer. I do see that I can view other people's photos on the computer, but that seems to be it. 5) How do I get my photos off Instagram and onto my computer? I understand how to print them directly from the phone (Groovebook, for example), but what if I want to post the photos to my blog? I know there are about 100 other questions that have come up for me in the past two weeks, but this is enough for now. If I could get these figured out, it would HUGELY improve my Instagram experience. Thank you!! The topic of the layout was supposed to be "Say What?!" I changed my title to "Say ah" by dropping two letters. I just realized that I did a layout years ago with the title "Say What?!" and I don't think I've ever shared it here. I actually made this one in 2008, a few months before the Farewell, Diciers layout. It's a list of all the words Trevor mispronounced at age 2. It's funny how many of them Steve and I still say! Taydits (carrots), skum-scream (sunscreen), and aw-vuls (olives) come up at least weekly around here. It's fun to read through the list of the ones we don't hear (or say) anymore. Ah, memories! Yesterday's mention of plastic dinosaurs made me realize that I've never shared this layout here on the blog. My 2 year old, Trevor, is really into diciers. Most people know them as dinosaurs, but in our household they've been diciers for about a year. We have a LOT of diciers. Trevor likes to arrange them around the perimeter of his train tracks, facing inward so that they can watch Thomas, Percy and the gang go around in circles. He also enjoys feeding his diciers, carefully placing the plastic spaghetti, artichoke, and ice cream cone on a plate with all the diciers crowded around. Ever the faithful scrapper, I have photographed Trevor and the diciers often. I've hidden behind the couch to get candid pictures, stood on a chair to get a birds-eye view, and even lain down on the floor to get a dicier-eye view of their plastic meal. Someday those pictures are going to remind me of these wonderful days at home with Trevor. Even now, the pictures make me smile. This morning I asked Trevor if he wanted me to get out his diciers. He looked at me like I was a moron. 'No Mommy. Diiii-no-saurrrrrs.' Overnight he figured out how to say the word correctly. As happy as I am that he is learning and growing, I'm going to miss the diciers. I know that years from now it will be hard to remember what Trevor is like as a toddler, what cute things he says, his favorite toys and games, and how he tucks his hand into my sleeve when he needs comforting. Just two years later, I can't remember all the tiny details about Baby Trevor, things I thought I would never forget. This is why I scrapbook. So farewell, diciers! I'll remember you fondly as I look through the scrapbooks. Now excuse me, as I must prepare a plastic sandwich for the monarch buffalie. I am so glad to have this layout. It makes the memories come flooding back. Scrapbooking is awesome. We've established many times that I am all about the trends. Remember this awesomely-trendy project? And then there was that one time that I picked the top colors of 2012, eight years in advance. Yep, I'm all about the trends. OK, so maybe I'm actually lousy about following trends. But I am pretty good at predicting them and really enjoy reading other people's predictions and analyses of trends in the craft industry. 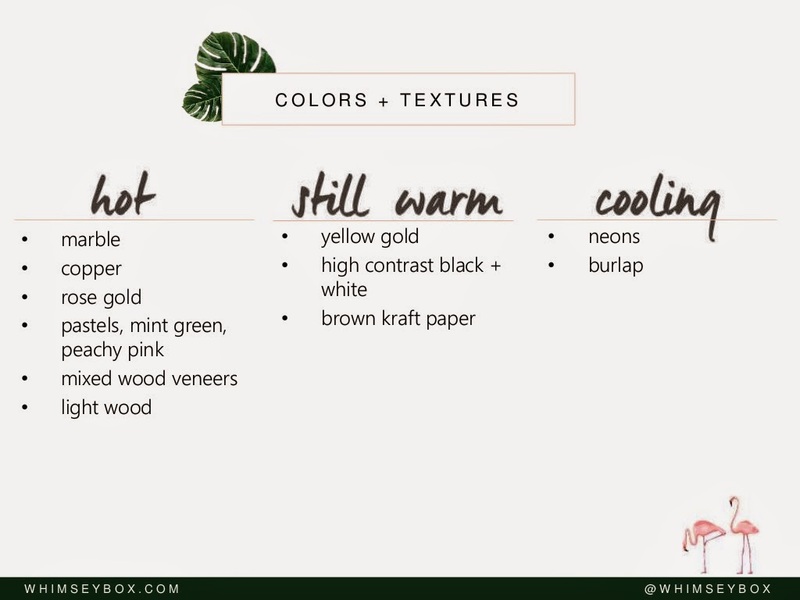 Which is why I was so happy to find the Summer 2014 DIY + Craft Trend Report by Whimsey Box. I think they're spot-on. If you're at all interested in trends, you'll want to go to their post and read the entire report. I'm only going to hit a few highlights here. First up, Designs + Motifs. I love (and have used!) almost all the items on the HOT list. I especially love any sort of camping and outdoors motifs, as well as stars, florals, fruit, and scallops. All of those seem timeless to me. 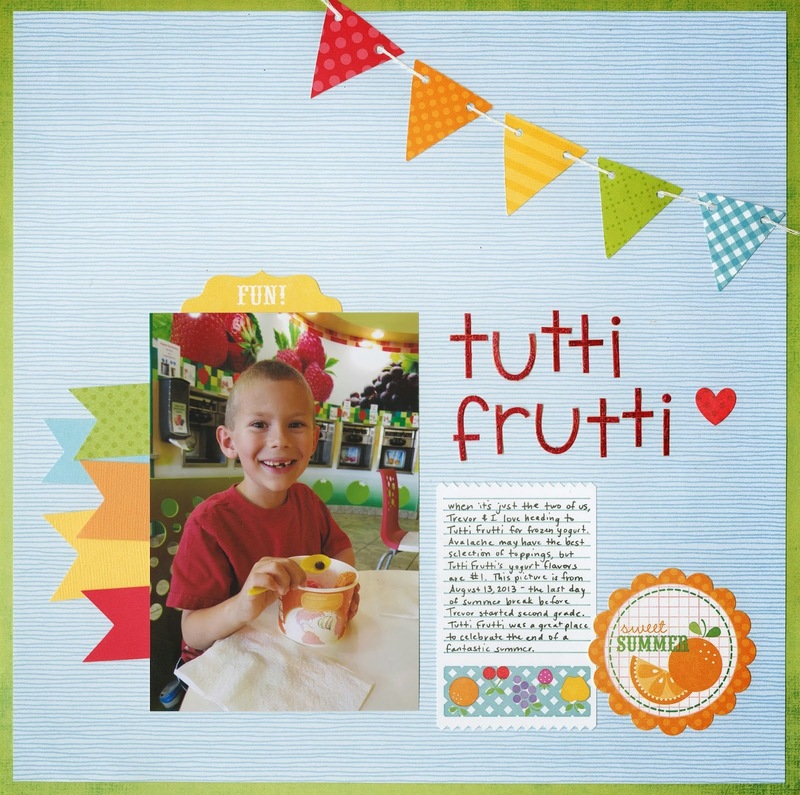 Here's a semi-recent layout of mine with fun fruit accents. I'm glad arrows and polka dots are on the STILL WARM list, as those are favorites of mine. I use them all the time (and will continue to do so, no matter whether or not they're trendy.) 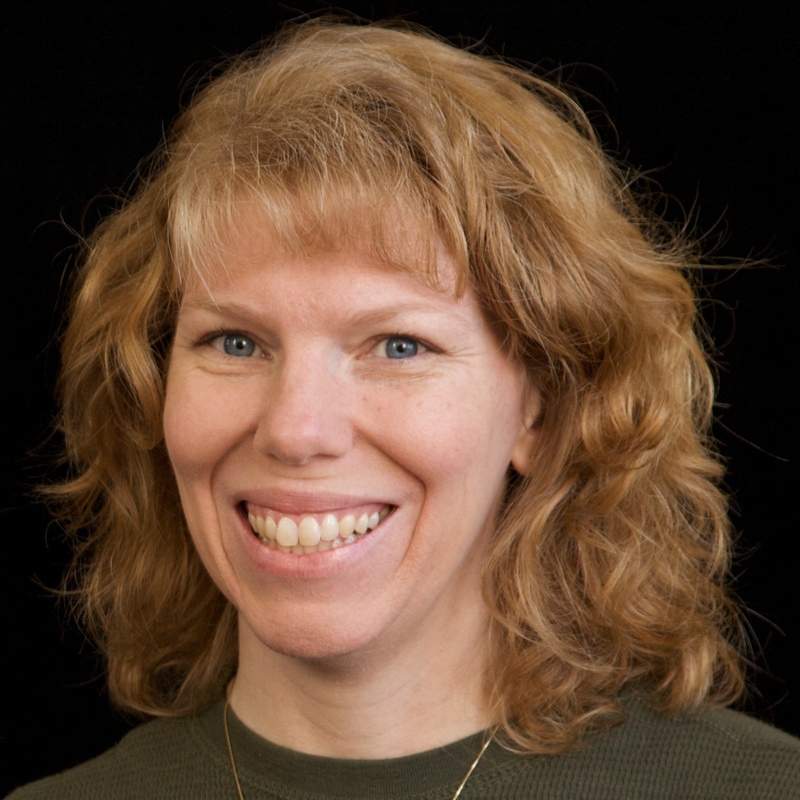 From the COOLING list, I am happy to bid farewell to deer heads (ugh), mustaches, circus stuff, and glasses. I'm not ready to say goodbye to chevron yet though. On to Techniques + Materials. On the HOT list - pinatas! I love making pinatas! Here are some of my favorites. 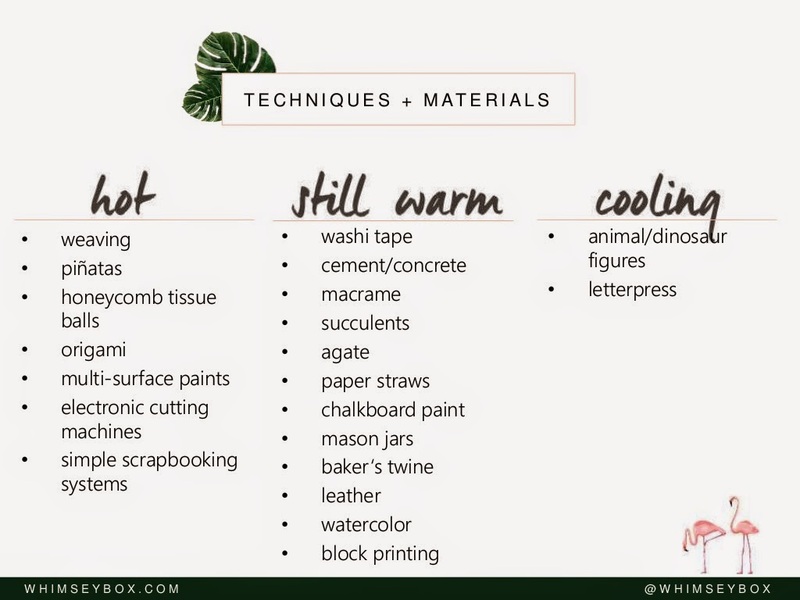 From the COOLING list, I'm more than ready to say goodbye to plastic dinosaurs and other plastic animals glued to stuff and spray painted some trendy color. I can't tell you how many of those I come across as part of my Fun Family Crafts job. On to Colors + Textures. I have mixed feelings about the items on the HOT list. I'm really tired of the mint green and peach combination that is everywhere. Copper is good, rose gold is ok, and I like all sorts of woodgrain. I haven't seen much marble. I'm guessing I'm going to start seeing it everywhere now that I've said that! As for the STILL WARM list, I'm a fan of all three and consider them to be more staples than trends. Gold is classic, B/W is timeless, and kraft is about as basic as you can get. I am thrilled to say goodbye to both items from the COOLING list. Neons have their place (like in Vegas, in bowling alleys, and in roller skating rinks), but they're really difficult to work with in scrapbooking. Burlap has its place too (though not the three previously-mentioned locations). I'm totally over burlap-covered furniture (how is this a good idea? ), burlap table runners, burlap wall hangings, burlap wreaths, and all the rest. OK, so what do you think? Do you agree with the report? Anything you're happy (or sad) to see on any of the lists? I'd love to hear your thoughts! When I was a kid, my mom always made a Money Cake for my birthday and it was always the hit of the party. My friends loved finding hidden coins inside their cake. None of my friends ever had a Money Cake at their birthday parties, so it was particularly special having one at my party. During college, I mentioned to a roommate one year that we should make a Money Cake for my birthday. She'd never heard of it. I asked around. Nobody had ever heard of it. Over the years, I have never met a single other person who has ever heard of, made, or eaten a Money Cake, other than people who had attended my birthday parties. Up until this year, I'd never made one for Trevor. Time to change that! 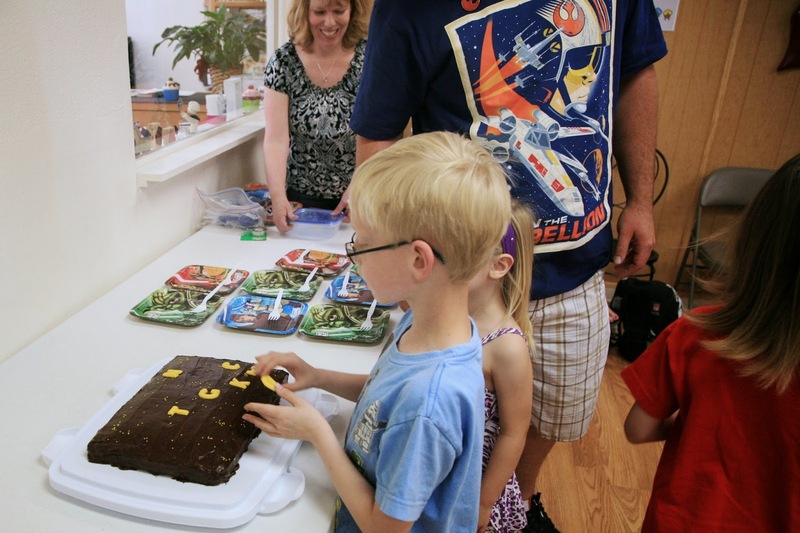 My plan had been to drop Trevor off at school on Friday (his last day of school), race home and make the Money Cake, and have it be a surprise for him at his Star Wars birthday party the next day. My plans were foiled when the principal called to say that the awards ceremony for Trevor and the other kids who made the Accelerated Reader Million Word Club would be that Friday morning. I had no choice but to spoil the surprise and involve Trevor in making the cake after school got out. The first step is to gather some coins. We started with 4 quarters, 15 dimes, 15 nickels, and 15 pennies. (Larger coins may not fit in your cake, so stick with these denominations.) Wash them with warm water and dish soap, then dry them with a towel. Set them aside. Wash your hands thoroughly, then bake an ordinary cake, using either a mix or from scratch. We made a yellow cake and baked it in a 13x9" pan. While the cake is cooling, wrap each of the clean coins in aluminum foil. You only need a small piece for each coin - just enough to completely cover it. When the cake is cool, gently slide each coin vertically into the cake. The coins should be distributed evenly around the cake so that everyone gets at least one (and hopefully more). Get down at eye level to make sure there aren't any coins sticking up. Now frost your cake as usual. No one will have any idea that the cake has a surprise inside! At the party, announce to the guests that this is a special cake with prizes hidden inside. (You don't want anyone accidentally swallowing a coin, which won't happen if they know there's something in the cake. Even so, I wouldn't serve this to anyone under 4.) I gave each guest his/her initial in chocolate, with the instructions to "choose your lucky piece!" Once everyone had put their initials on the cake, I carefully cut each piece. Occasionally the knife will hit a coin, but it's not a big deal. The kids were so excited when they started discovering coins in their cake slices. There was even more excitement as they unwrapped them to see whether they got pennies, nickels, dimes, or one of the coveted quarters. The Money Cake was definitely a hit. Here's a close-up of what a slice of Money Cake looks like. Two coins are visible from this angle. Two more were hidden inside. Have any of you ever had a Money Cake before? Anybody going to make one in the future? You should! They're so much fun. Taste the Red, White, & Blue!